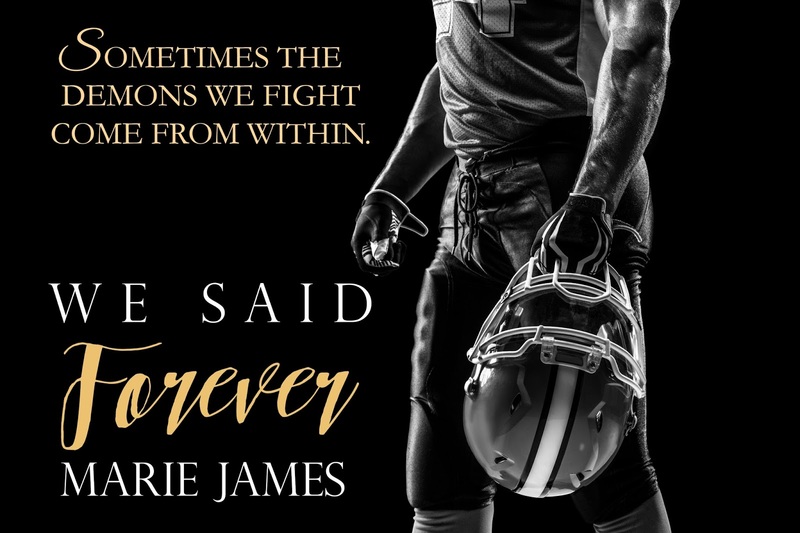 Marie James: We Said Forever out now! Rock bottom.They say the only way to go from there is up, but what is “up” when you’re born into someone else’s rock bottom?At ten, football became my first love. It’s what got me out of the house away from my self-destructive family. My love for football landed me at Las Vegas University with a full ride scholarship, and the orange on my jersey was my favorite color…until my eyes landed on the red dress Fallyn wore the night we met. We Said Forever is a story of life in its rawest when rock bottom is just a plateau on the way down. Fallyn isn’t looking for a relationship, she just wants her degree and be out of the university. That all changes at New Year’s Eve party, where she encounters Blaze Porter. She tries to fight him, but Blaze is stubborn, determined to have her. Fallyn’s attempt to fight the attraction is in vain since the connection between her and Blaze is immediate and fierce. Things between Fallyn and Blaze evolve quickly and then, in a blink of an eye, a fleeting moment changes it all. All the plans they had made for future, all of their dreams, are shattered. What is left, are two estranged people trying to cope in the only way they know how. Their choices tear them apart and following their chosen paths, Fallyn and Blaze drift away from each other. This story is about love, vows that are meant to keep. It is also a story about addiction and weakness, how the momentary oblivion is all you crave. But We Said Forever also depicts inner strength, the kind of willpower that enables your survival when everything around you crumbles to dust. 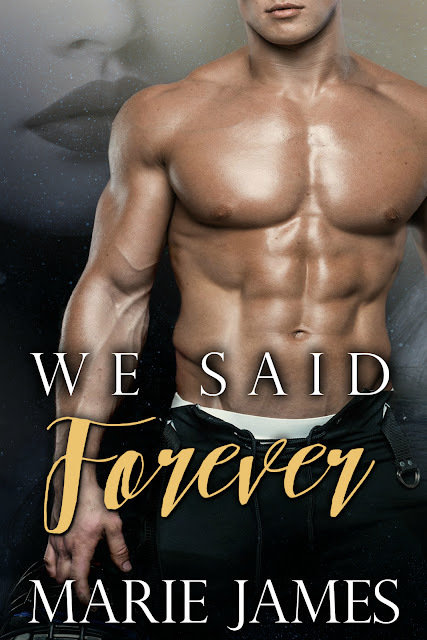 We Said Forever wasn’t an easy read, the topics in this book are challenging and evoke tons of emotions. I felt everything between anger and frustration to love, lust, and joy. Marie James has written a book that certainly leaves you little breathless. It is a bumpy ride, but she wraps the story up beautifully. We Said Forever isn’t a perfect, sugary HEA but a little rough around the edges, just like life itself.